We are thrilled to announce that CCSVI Australia CEO, Kerri Cassidy, has been selected as a finalist for the Excellence in Justice and Rights Protection Award for her long-term commitment to promoting justice and rights protection for people with disability. This is a reflection of her work in raising awareness and calling for equitable access to treatment for Chronic Cerebrospinal Venous Insufficiency (CCSVI) for people with Multiple Sclerosis. 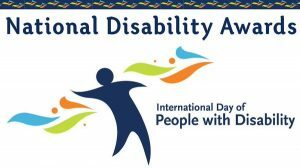 The International Day of People with Disability (IDPwD), held on 3rd December, is an international celebration sanctioned by the United Nations. The purpose is to celebrate the contributions of people with disability, increase public awareness and break down structural and attitudinal barriers for people with disabilities.